On 2 June Premier Jay Weatherill announced a four-year $780,000 SA Government support project. The money will fund a learning partnership between the SA Education Department and the RSL. The project is headed by the RSL (SA/NT) deputy president, Colonel Steve Larkins. “The RSL Virtual War Memorial is at the leading edge of communication – a great example of South Australian creativity, innovation and determination,” he says. “Now we have a wonderful opportunity to engage and educate younger generations with this resource, and the integration of the site into the school curriculum will soon be a reality.” As Brigadier Tim Hanna, RSL (SA/NT) president, puts it: “This commitment of funding allows us to deliver on the education pillar of our promise. 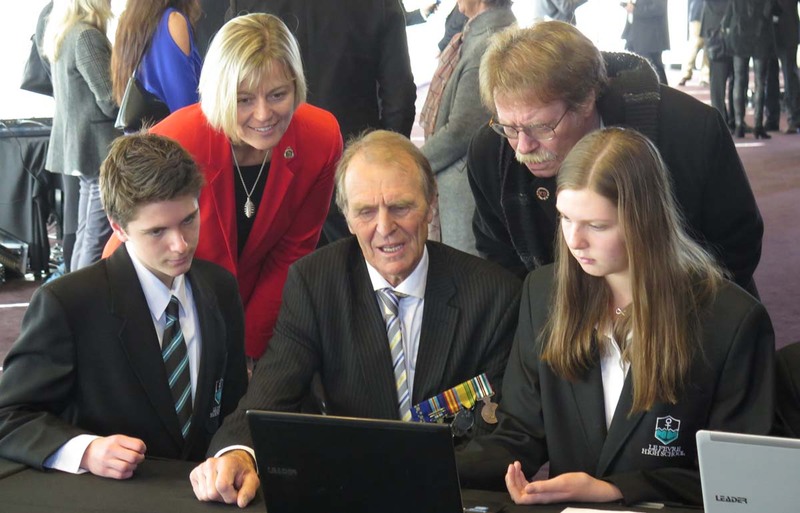 It was always our vision to make the RSL Virtual War Memorial a key education asset accessible to all, and we are now very close to achieving this with a learning partnership that takes our project into South Australian secondary schools.” Brigadier Hanna added that public donations would be of critical importance as well, to support the ongoing technological lifeblood that drives the initiative.